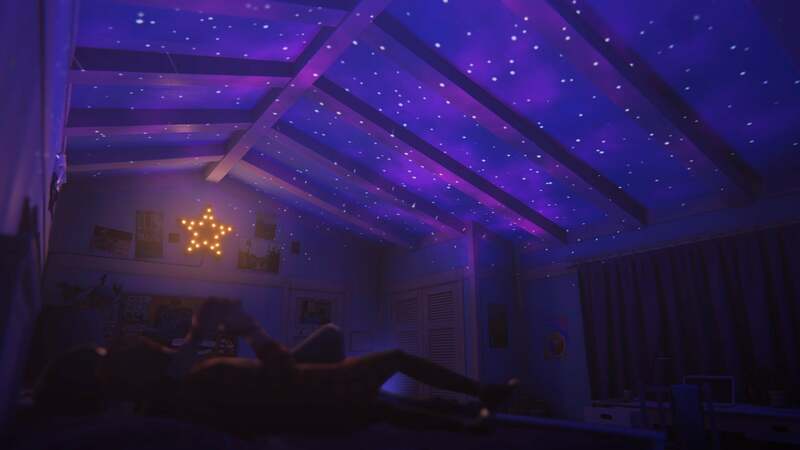 Life is Strange: Before the Storm should be a non-starter. 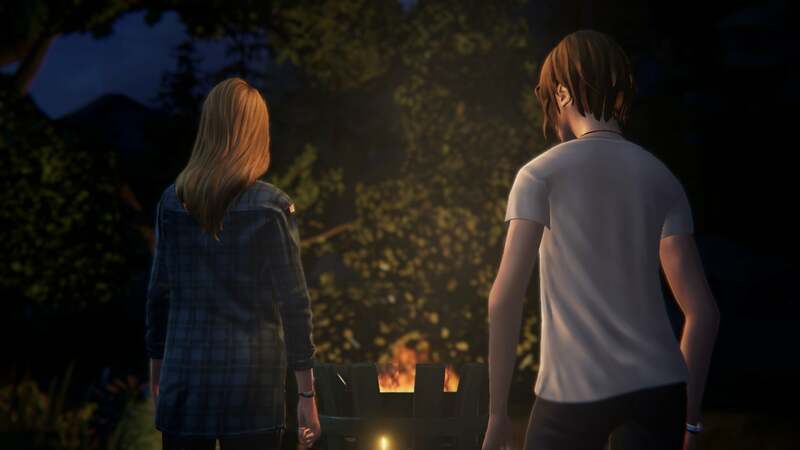 It’s a prequel, for one, and like all prequels it's stuck trying to surprise players even though thanks to 2015’s Life is Strange we already know where events are headed. It’s also forced to get by without its predecessor’s primary gimmick—Max’s ability to rewind time is tied innately to the events of Life is Strange proper, and Before the Storm has to do without that supernatural element. 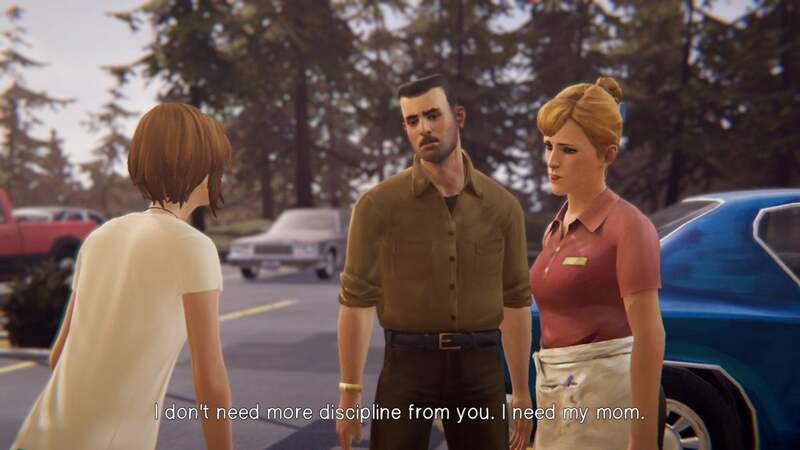 Take the supernatural out of Life is Strange and what’s left is a quiet teenage drama set in smalltown Oregon—a town where a big scandal is a straight-A pupil skipping class at the local prep school. I wouldn’t say it was set up to fail, but the burden was certainly on developer Deck Nine to prove such small stakes could carry an entire game. Small stakes are what made the original Life is Strange so memorable though. Sure, the overarching apocalypse threatening Arcadia Bay made for a great backdrop, but it was primarily the relationship between Max and Chloe—the small moments, hanging out in a junkyard or visiting the diner where Chloe’s mom worked—that tugged on people’s emotions. 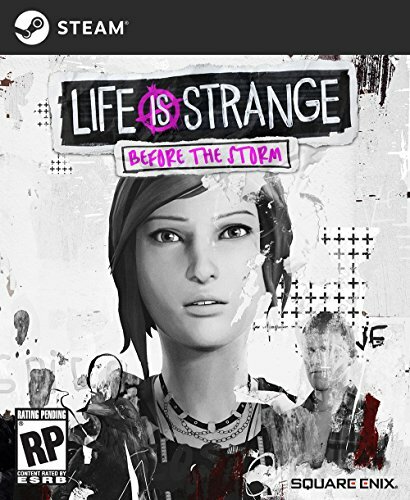 And as such, Life is Strange: Before the Storm actually feels less different than I expected. Max isn’t around, this taking place during the period where she’d moved away from Arcadia Bay. Before the Storm picks up with Chloe though, which puts us in familiar territory. The Chloe we meet when Before the Storm opens is familiar—loud, antagonistic, on her way to a rock concert in the woods. But she’s also decidedly younger, her loudness a mask she puts on more than the disaffected swagger of Chloe-to-come. That Chloe’s been dragged through the mud. This one’s still on the green side of the fence. Before the Storm also covers ground we’ve at least heard about previously, introducing us to Rachel Amber, one of the central mysteries of the original. Or a mystery and then not a mystery. This is where Before the Storm is hampered by its status as a prequel. We know of course where it’s eventually headed. 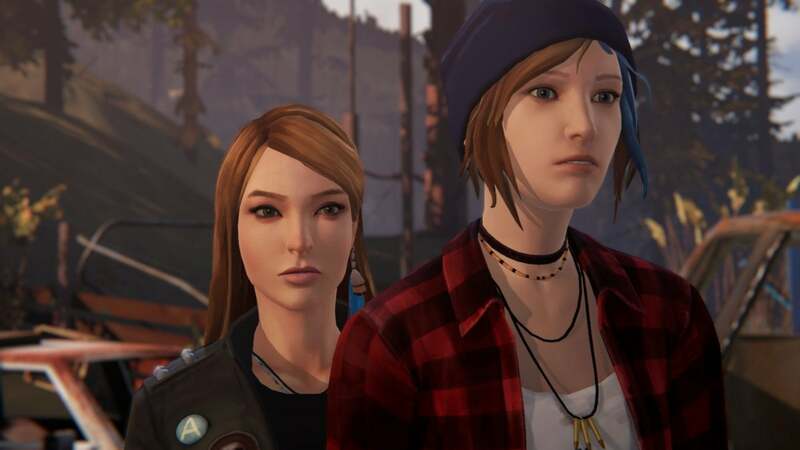 Rachel Amber is kidnapped by Arcadia Bay’s photography teacher, Chloe spends most of Life is Strange looking for her, and she and Max eventually discover Rachel’s dead. It makes the prospect of watching Chloe and Rachel’s relationship develop tragic to say the least. Ghoulish, too. Deck Nine makes a bold move though, divorcing Before the Storm almost entirely from its predecessor. There’s one quick post-credits scene to tie the Rachel we’ve come to know to the Rachel we’d heard about, but that’s it. Before the Storm is otherwise content to tell its own self-contained story. What ensues is a bit of Romeo and Juliet, with star student and district attorney’s daughter Rachel Amber falling in with Chloe, the troublemaker. And it’s sweet. There are still some cringeworthy lines, but the performances for Rachel and Chloe (even without the return of Ashly Burch due to the SAG strike) carry it. We get to see how they meet, how their meeting grows into a friendship, how that friendship grows into something more. Like the original, these moments are what you walk away with after it’s all said and done. I played Before the Storm as each episode released, so I already have some distance from its first two chapters. The parts I remember, the parts that stand out, are small when described—two teenage girls arguing in a junkyard, two teenage girls skipping school and sitting in a park, two teenage girls in a school production of The Tempest. The emotions tied to those moments are so fierce though, larger than life in that uniquely teenage way. And that’s what makes this series special. Beneath the artifice, the weird “Is this how teens talk?” moments, there’s a core that resonates with something real. 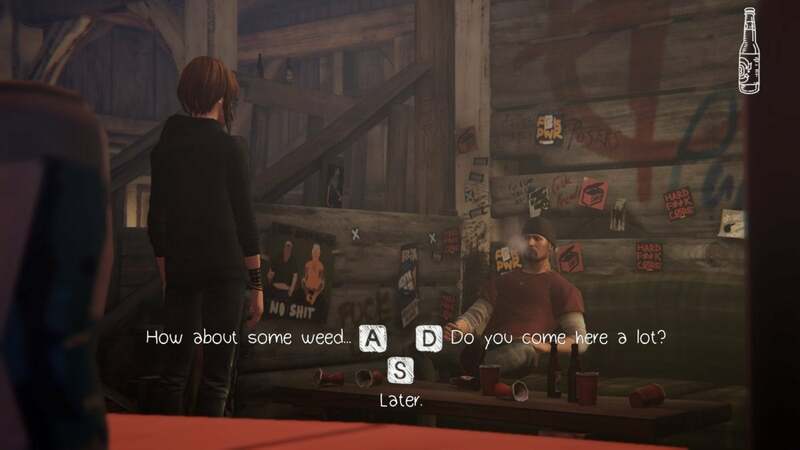 Like Night in the Woods, Life is Strange taps into some sort of shared memory-space a large number of people can identify with. There, it was returning home as a young adult and finding everything’s moved on without you. Here, it’s the usual coming-of-age stuff about falling in love for the first time, rebelling against your parents, and so on. None of this is new per se, but it’s new-ish when discussing biggish-budget video games. We don’t even have a “Slice of Life” genre really, let alone a “Coming of Age” subgenre. If nothing else, Before the Storm proves that maybe we should. Again, I was skeptical coming into it—as much as I loved the original, I didn’t know if it’d still work once the stakes were reduced even further. It does, though. It absolutely does. Stumbling through Rachel and Chloe’s relationship, coming to terms with Chloe’s dad’s death, navigating her complicated relationship with her stepdad—if anything these are better stakes, because they’re relatable. They may be small on the universal stage, but they loom large on a personal level, and they all-but-invite the player to empathize. All that said, it’s the rest of Before the Storm I could do without. 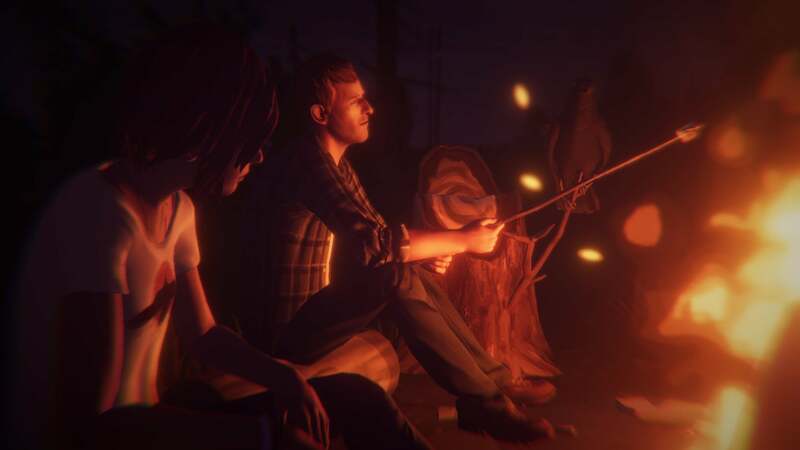 Before the Storm may be content with smaller stakes than its predecessor, but someone still decided it needed stakes of some kind and the stakes it settled on are absurd. Most of it doesn’t come into focus until the third episode, so I’m loathe to spoil it. Suffice it to say, the first two episodes focus mostly on Chloe and Rachel’s relationship, with a bit of small-town weirdness as set-dressing. The third episode turns that background weirdness into a full-blown mystery and loses itself in the process, veering at times into soap opera and then rushing to an ending at breakneck speed. It’s not irredeemable, as the third episode still takes occasional time out for character development and features probably some of my favorite Chloe/Rachel scenes. The larger plot beats are silly though, and often tonally inconsistent with what came before. Which makes you wonder: Why? It’s like nobody believes a game about a high-school aged girl navigating small-town life can be interesting without some outlandish plot around it—and maybe they’re right. But after looking back at Life is Strange and now Before the Storm though, it’s precisely the moments where there are no stakes at all that those games pull off their masterstrokes, be it two old friends reminiscing over Bright Eyes, or another pair lying in bed looking at fake stars splayed across the ceiling. Life is Strange: Before the Storm isn’t as groundbreaking as its predecessor, but it is a refinement of those ideas. Chloe and Rachel’s relationship is heartwarming, and a solid core for the rest to wrap itself around. Excellent character writing makes up for the moments when the overarching story drags, or when it gets too hamfisted. That’s really the lesson, here: Write good characters, and the stakes can be as small as you’d like. Before the Storm maybe doesn’t take this to heart enough, with its more melodramatic plot beats actually detracting from the parts I enjoyed—and yet I’m inclined to forgive those sins, because the moments where it does stumble on some seemingly universal truth? They shine bright. Life is Strange: Before the Storm isn’t as groundbreaking as its predecessor, but it's an excellent refinement of those ideas and a solid prequel. All the graphics options go to "Hella High"